Dr. Ambreen grew up in Toronto, Canada where she attended the prestigious University of Toronto for her undergraduate studies. She graduated with honors as a Doctor of Dental Surgery from the University of Detroit Mercy and moved to Phoenix, Arizona to establish her dental practice. Learning is a lifelong passion for her and she keeps up with the latest developments in the field of dentistry through continued education. Dr. Sandhu truly believes that dentistry is not just about clinical excellence, but also about lasting relationships with her patient family. Her positive attitude and proficiency in the field helps relieve any fears the patients might have. 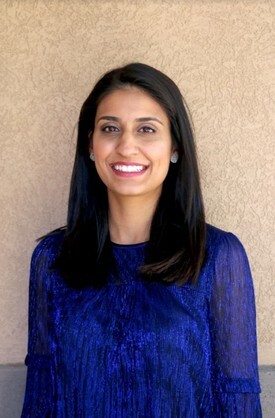 For the past 5 years, Dr. Ambreen Sandhu has excelled at her role as the lead dentist in a multi-specialty dental practice and encourages her team members and colleagues to provide the best care for her patients. Drs. Ambreen and Puneet Sandhu met while they were attending different dental schools through their friends and got married after graduating. 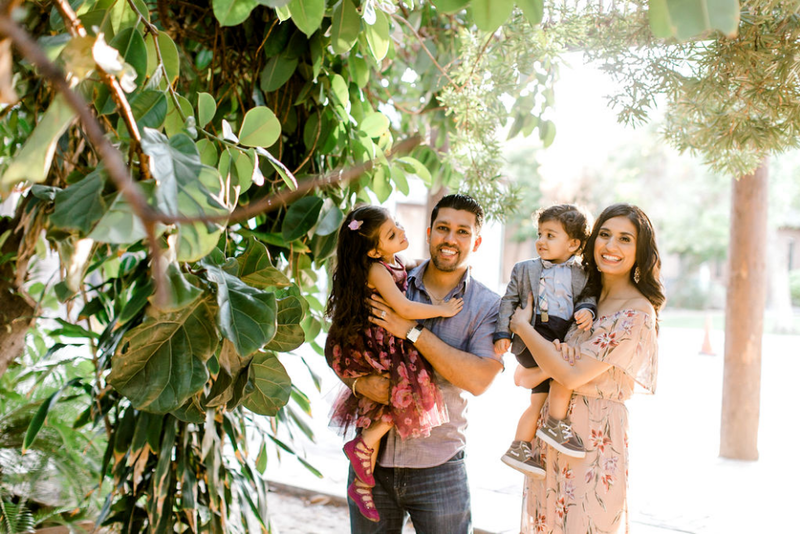 Dr Puneet Sandhu is an Arizona native and they chose to make Arizona their home because they love spending time outdoors, especially with their two little ones. Their favorite vacation destination is Kauai, HI, but equally enjoy their trips to Sedona/Flagstaff, Hiking, Riding their Bicycles (with the kids in tow), and visiting Toronto during winters to enjoy the snowfall. Dr. Ambren also enjoys cooking for her family and is always looking to try new recipes and recommendations. 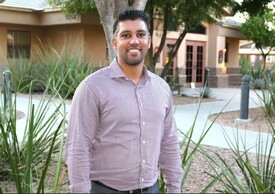 Dr. Puneet attended University of Arizona for his undergraduate studies in Physiology where he graduated with honors. He proceeded on to complete his degree in Doctor of Dental Surgery from UCLA, during which time he met his future wife, Dr. Ambreen Sandhu. He is a proud UCLA alum and was born in upstate New York, but Arizona is home since he has been here for the past 20 years. Dr. Sandhu is a cosmetic Dentist in Scottsdale, AZ that residents can trust with every aspect of their dental health. Along with his calm demeanor and his highly efficient team, his caring and gentle touch have become his trademark. Our patients can expect informative and personal consultations, where all of their dental concerns are addressed. From the new patient experience, to the actual dental procedures, patients are assured of comfortable and quality care. Cosmetic procedures performed by Dr. Sandhu utilize the latest dental equipment and techniques. Dr. Sandhu is a premium member at the CEREC Department in the Scottsdale Center for Dentistry where he has dedicated his time learning and perfecting his skills with CAD-CAM technology. Dr. Puneet Sandhu's practice creates a level of confidence his patients trust with their closest friends and family. Our practice is built on the care we give to our community.The trust and referrals of his patients is the highest compliment. He shares his passion and dedication to dentistry with his wife, Dr. Ambreen Sandhu, which helps them grow and learn in the field of dentistry. Dr. Puneet's favorite hobby is golfing and he is always trying to perfect his game. He loves to travel with his family to new places, even if it is a road trip up north or to California. He is a self-proclaimed “foodie” and loves trying new dishes. Dr. Puneet Sandhu also loves watching football and basketball and played varsity football in school. We LOVE all insurances and are great at helping you maximize your benefits! We offer $0 cleanings for all insured patients! At 32 Perfect Dental Care, we provide your family with the dental care you need without having to take time off from work or school for your dentist appointment. We understand that you, our valued patients, lead busy lives & it can be difficult to put aside an hour out of your busy day for a teeth cleaning. That is why we do all we can to open our schedule to allow you to come in when it doesn’t interfere with your day-to-day responsibilities—It’s just another way we show our patients how much we care. Download our new patient paperwork today! Q. Where did you receive your education? Q. How long have you been working in dentistry? A. Building lasting relationships with patients who become like family. The ability to boost people's self-confidence through building beautiful smiles. I love being in a fulfilling profession that also allows for a good work-life balance. Q. What hobbies or interests do you enjoy in your spare time? A. Riding my bicycle, taking my kids to fun places (esp trampoline parks) and traveling to new places. Q. What is a local landmark, area, place of business, restaurant or park that you especially enjoy and why? 1. Singh Farms- Farmers Market with delicious goods + good vibles. 2. Pinnacle Peak hike - moderate hike that's fun with kids and gorgeous views. 3. Snooze AM Eatery Brunch - For a post hike reward. 4. And Sedona of course! A. Connecting with patients and working with my hands. A. Basketball, hiking, golf, movies, spending outdoor with with the family. Q. What is a landmark, area, place of business, restaurant or park that you especially enjoy and why? A. Old Course in St. Andrews, Scotland. Got to play there for my first time ever. The history behind the old course and being able to walk where all the great golfers have walked was just breathtaking.